There is no second doubt in anyone mind how Men in Blue performed in South Africa by winning a test and limited over series. In this whole tour to South Africa which is always known for its fast-track pitch, Team India under the leadership of Kohli made the whole game on its toe. Prior to Nidahas series against Sri Lanka and Bangladesh Indian coach Ravi Shastri found to be in great zeal and bestowed piles of appreciation on Cheeku. 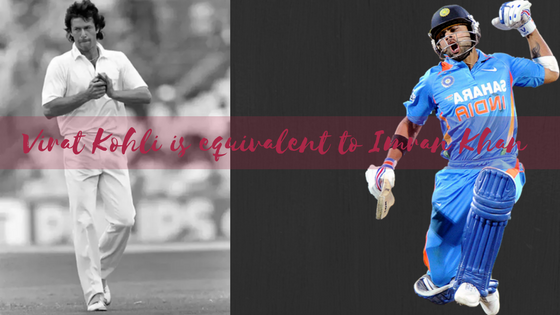 Virat who seem to be riding high on his career by raising the temperature of cricket fans with every match with his bat scored 558 runs in the bilateral match. An aggressive right-hand batsman scored 558 runs which made him the first batsman in the history to do so in the bilateral tour and that too against Proteas. Above that, he is ranking at no.1 spot in ICC Batsman ranking. Indian skipper who looked into great shape this calendar year looking at his past six matches he scored three century and two fifty. Kohli who always known for its aggressive take on field which attracted many comments from former cricketers advised him to calm down a bit. With such a confidence on his mentorship, Ravi Shastri who played 80 tests and 150 ODI seem to be not in mood to pay heed to anyone advice.